Supreme — In Record Time • IRT designs, produces, and fulfills high-quality branded merchandising programs. 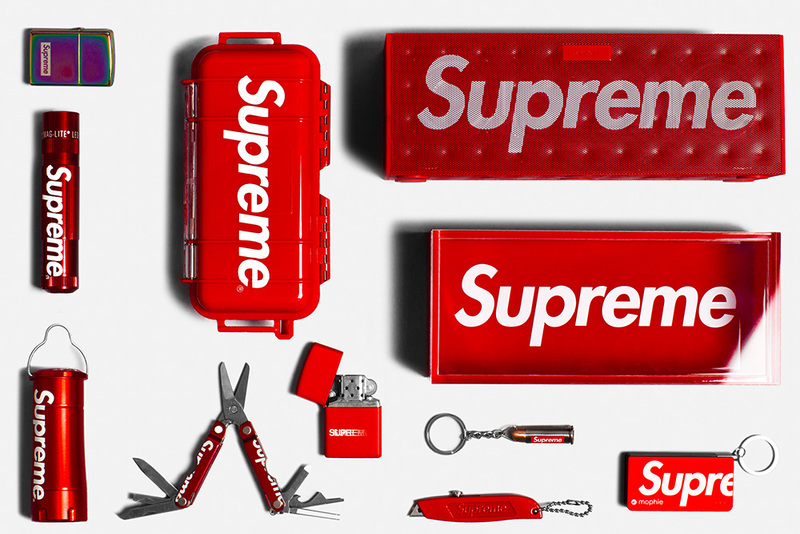 In Record Time is proud to be a partner with Supreme for over two decades on an array of product launches from custom accessories, highly-anticipated apparel releases, and more. In 2015, IRT was able to create a partnership between the world-renowned clothing brand and mobile device accessories powerhouse, Mophie. Prior to the collaboration, Mophie was not known to provide custom packaging for their products outside of their relationship with the (RED) charity. The co-branded product sold out within an hour of launch, and its success led to additional custom projects with Mophie the following season.